The sale-leaseback is one of the three main tax equity structures used by the solar industry for solar investments. Based on more than 1,000 hours of development, our model can be used to evaluate the returns on solar projects in the United States that take advantage of the Investment Tax Credit. A sale-leaseback involves a tax equity investor (Tax Equity) purchasing a solar system from a developer and then leasing it back to the developer. The developer then makes periodic master lease rental payments to Tax Equity. Please read our paper Tax Equity 101: Structures for more details. 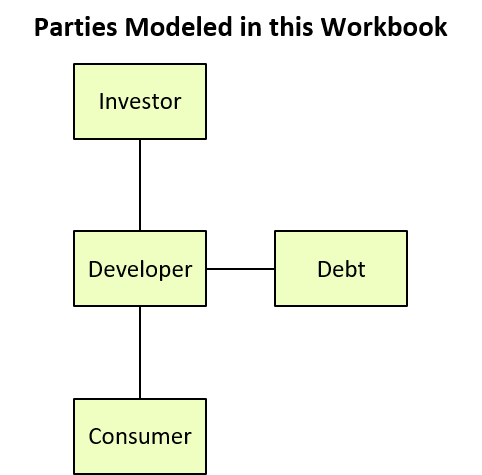 We model both the returns to Tax Equity and the developer in our model. Our model includes two input sheets where you can define project assumptions. Input 1: allows you to input master lease, debt, incentive, operating, and other expense assumptions. Input 2: allows you to input the assumptions about each project, such as system size, system productivity, cost, and fair market value. The model accommodates up to 12 individual tranches for a portfolio of projects with different timelines. 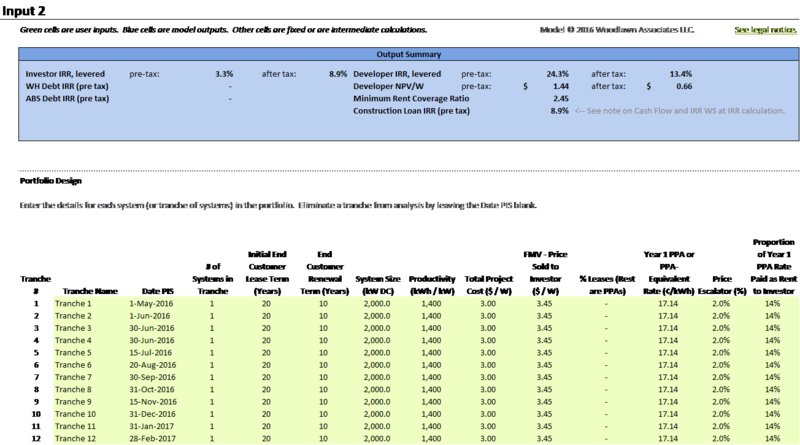 Each of the above worksheets also includes a section that shows the overall model outputs so you can see how changes in the inputs result in changes to the key outputs, such as IRR or NPV. Tranche: calculates the operation of each tranche in the portfolio, including receipts, expenses, and depreciation. 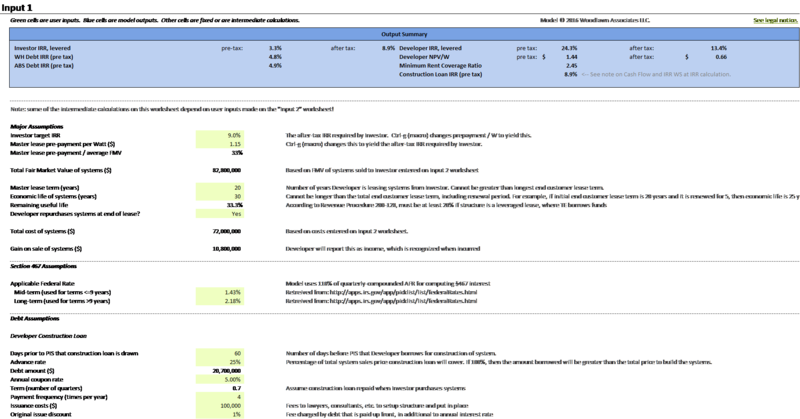 Portfolio: summarizes the results of all the tranches. Section 467: calculates the allocated rent for income tax purposes. Construction loan: models the loan balance, interest, and fees associated with a construction loan. Cash Flow and IRR: calculates the IRR for both Tax Equity and the sponsor based on their respective cash flows. These calculations result in IRR outputs for Tax Equity, the developer, and debt investors. We show IRRs pre- and after-tax. The model is built in Microsoft Excel and comes completely unlocked. You may modify it as you wish to meet the needs of the projects you are evaluating. Because of the size of this model, Woodlawn Associates offers a one-hour walkthrough with the purchase of the model, and would be happy to help with any modifications you may desire. We also offer custom modeling services, so if working through the details is more than you have time for, please contact us.